Court Addresses When BAC Limit Is Triggered After DUI - Crooks, Low & Connell, S.C. When an individual is convicted of a DUI, several different types of consequences are often imposed. First, the individual must face some sort punishment for his actions that violated the law. This typically happens through jail time, fines, or suspension of the driver’s license. Additionally, the state may impose consequences meant to deter any attempt by the driver to drive under the influence in the future. This is done by making the consequences for a DUI more serious as the number of convictions increases, requiring a driver to keep a breathalyzer test on his or her car, making the circumstances under which a DUI can be imposed more stringent. For example, one Wisconsin statute holds that upon conviction of a DUI and an order for the installation of a breathalyzer device, the blood alcohol limit for the driver is also lowered, so that even a minimal amount of alcohol in one’s system can trigger a DUI. In a recent case before the Wisconsin Court of Appeals, the court was asked to consider precisely how this statute worked. In this case, before the Wisconsin courts, Joshua Quisling was convicted of his first DUI in November 2013. As part of his conviction, the court ordered that his license was suspended and that he was required to install an ignition interlock device on any vehicle that he drove for the next twelve months. An ignition interlock device requires a driver to breathe into the device in order to start the car. Because Joshua’s driver’s license was first suspended for several months, he did not have to get the ignition device immediately. Instead, he was required to wait until his license was reinstated, and then have the device placed on his car. Under Wisconsin law, an individual “subject to” an order requiring an ignition device must also keep his or her blood alcohol level (BAC) under .02. During the time when Joshua’s license was suspended, he was stopped by police for driving a vehicle under the influence and registered a BAC of .07. He was tried and convicted of a DUI based on this lower limit. Joshua immediately appealed. When Does the Lower BAC Apply? Joshua argued that under the statute he needed to be “subject to” a requirement that he install an ignition device and that, in his case, that had not yet happened because his license was still suspended and there was no requirement that an ignition device be installed. He suggested that the court had prematurely applied this requirement and incorrectly lowered his permissible BAC limit. According to Joshua, he only became subject to the order when it was actually implemented. The state, by contrast, argued that once the order was in place from the judge, in writing, after a conviction, an individual is “subject” to the order, even if the details of the order do not immediately go into effect. The Wisconsin Court of Appeals, in evaluating these two arguments, followed the general instructions within the state of Wisconsin that the language of a statute should be interpreted so as to give effect to its plain meaning. Here, because there was no specific definition of when an individual is “subject to” an order, the court turned to the definition of subject to within the dictionary. “Subject to” is defined as a circumstance where an individual may be affected or possibly affected by something. The court found no reason not to adopt this broad definition. Turning to the facts of Joshua’s case, the court reasoned that because the order from the court was in place, Joshua could be possibly affected by the requirement to place an ignition device on his car at any time, because as soon as his license revocation ended, this requirement would come into place. The eventual effect of the order was inevitable, it was just a matter of time until it was implemented. The court held that this was sufficient to make Joshua subject to the order, and, accordingly, the lower BAC threshold was appropriate. The court explained that Joshua had incorrectly conflated two different ideas: (1) when the order went into effect and (2) when the installation of the device was actually required. The order went into effect immediately and this was the basis for the lower BAC threshold. Thus, it was irrelevant if the actual installation of the device was not supposed to occur until a later date. In light of this conclusion, the Wisconsin Court of Appeals upheld Joshua’s conviction of an additional DUI for driving under the influence with a BAC higher than .02 percent. Joshua was then subjected to additional fines and penalties for this conviction. Getting a DUI in Wisconsin is a very serious matter. While the initial punishments for a driver’s first DUI may not seem too severe, continued convictions can result in rapidly increasing punishments, eventually resulting in felony convictions that can go on an individual’s record and lengthy jail time, as well as extended revocation of one’s license. 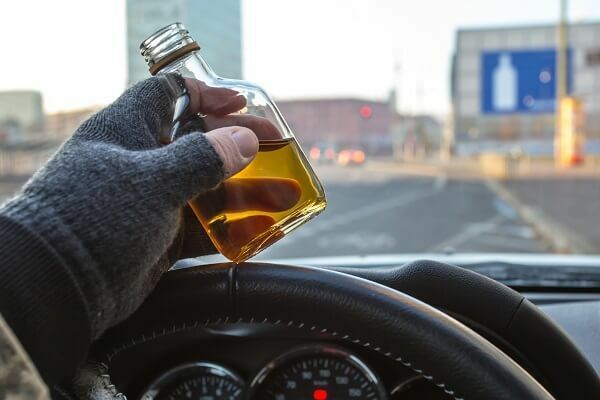 As this case illustrates, part of what makes the DUI process more tricky is that after an initial conviction, drivers often face much lower BAC limits for future violations, making it much easier to get convicted for a DUI. As a practical matter, a BAC level of .02 means that a driver with a prior DUI conviction should never be driving with any amount of alcohol in his or her system. In order to avoid a situation similar to the one that Joshua was placed in, drivers must clearly understand the consequences of their actions and how to avoid future punishment down the road. This means knowing when lower BAC thresholds apply and what other restrictions are required. At Crooks, Low and Connell, S.C., our DUI attorneys can aggressively represent your interests during a DUI criminal proceeding, but also work with you to make sure you understand any punishment you face and how to avoid future violations down the road. For more information, or to schedule an initial consultation, contact us online or at (715) 842-2291.